From sea to land, young participants in the America’s Cup community sailing initiative, Endeavour, will learn to harness the power of wind wherever they are with the addition of Blokart International ltd. as an Official Supplier. 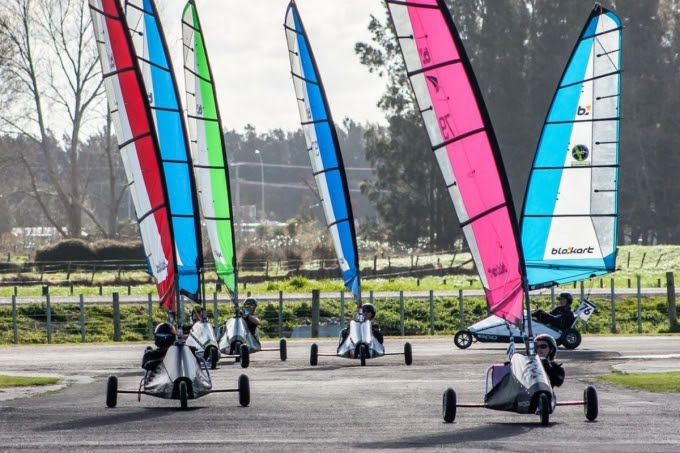 Blokart, the wheeled land sailing karts, will be used for training and racing as the kids hone their skills. “Blokarts will serve as tools in helping the Endeavour kids better understand engineering and apparent wind sailing – similar to the concepts for the America’s Cup yachts,” said Tom Herbert-Evans, the Community Sailing Program manager for the America’s Cup. Endeavour participants will begin using Blokart equipment later this year. The young sailors will also take part in a Blokart race during the 35th America’s Cup. “At Blokart we’re passionate about introducing people to the thrills of sailing. 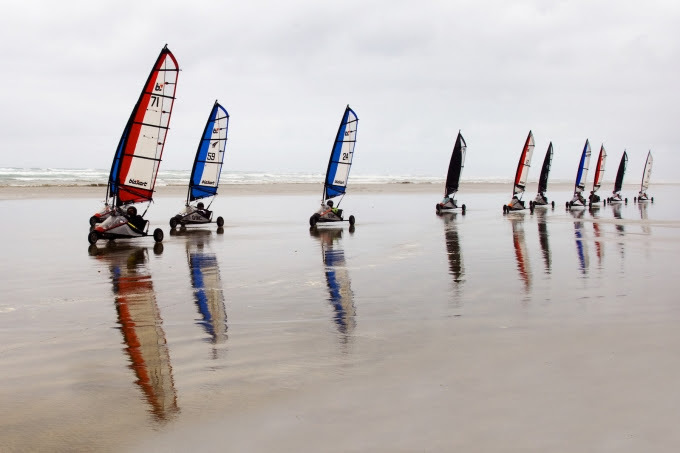 We may sail on land, but our whole philosophy is about sharing the joy and excitement of using the wind to satisfy the need for speed,” said Paul Beckett, Blokart International ltd. The team at Blokart International ltd. specializes in the design, manufacture and distribution of revolutionary sailing and recreational equipment. Inventor Paul Beckett developed the Blokart in September 1999. With a background in hang gliding, surfing and sailing, Beckett was inspired to build a serious wind-powered machine that was fun, fast and compact. Since the formation of the International Blokart® Racing Association [IBRA], the sport of blokart sailing, has grown into a one-design sailing Phenomenon. The Endeavour program is set to begin the first phase of its curriculum this month with the opening of East Endeavour Fort – one of two operational bases. Endeavour is a youth-focused community sailing and educational program in connection with the 35th America’s Cup. The mission is to provide unique sporting and educational opportunities through sailing for youths across all socioeconomic backgrounds. It highlights three pillars, including a STEAM [Science, Technology, Engineering, Art and Math] educational component, the youth sailing initiative, and an internship opportunity for US College sailors and coaches. The program will have bases in the east [at St. George's] and west [Dockyard] sides of Bermuda. so what exactly be da 3 pillars?? ?